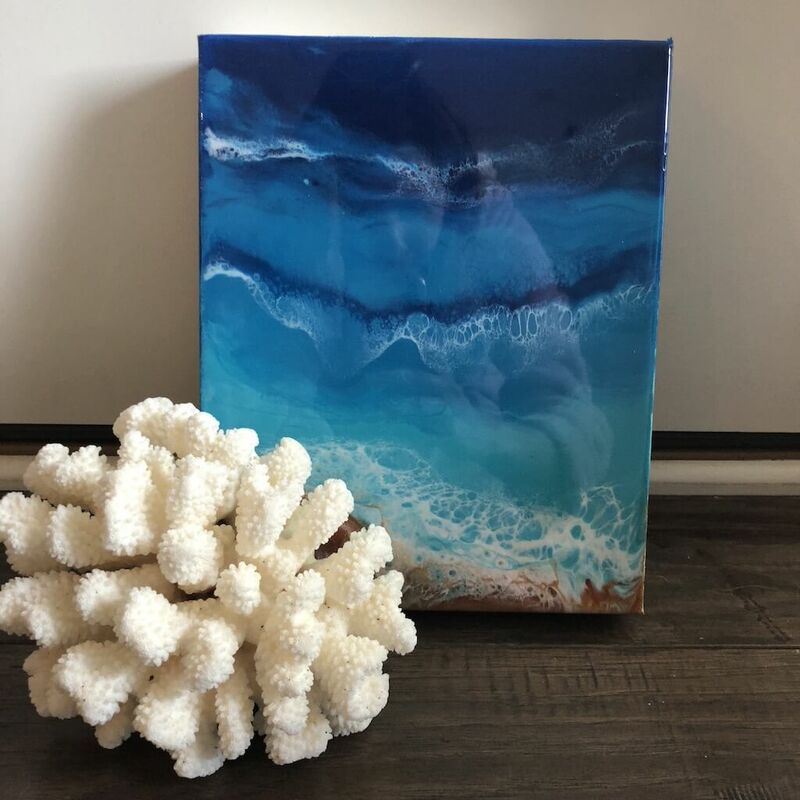 Acrylic pouring is a noble art that has been practiced by many people of all ages and careers. It leads to the creation of beautiful pieces which are a sight to behold. Many artists love it when their work has a shiny appearance like glass or gloss. 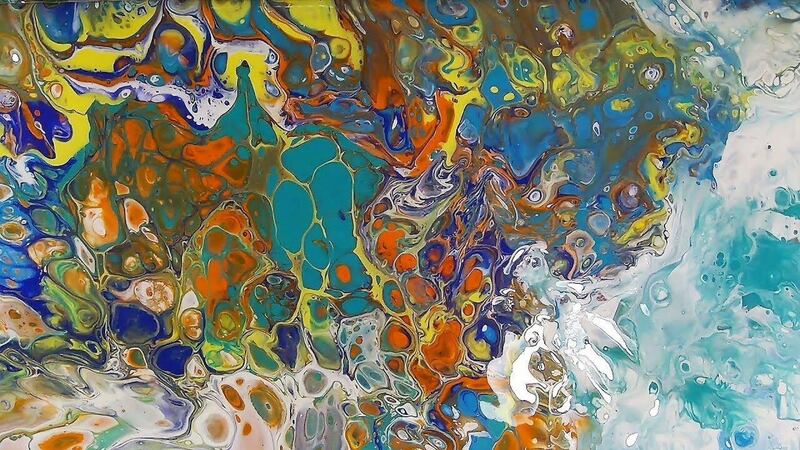 One way to achieve this is by using thin paints while doing the acrylic pouring. 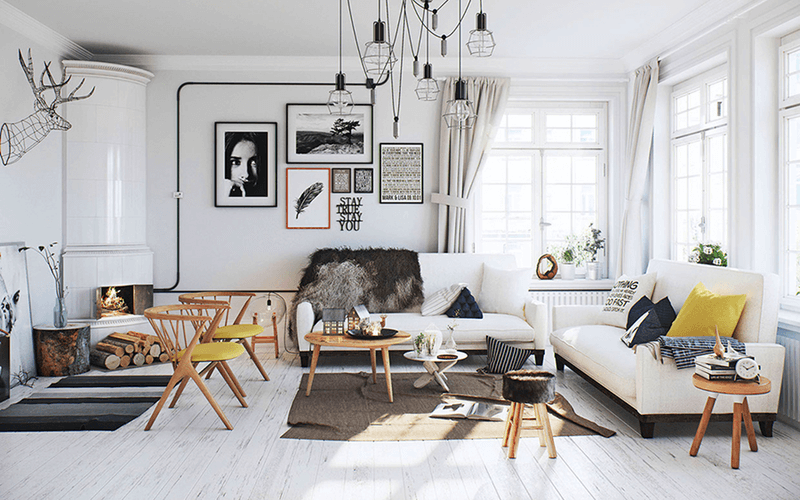 Thin paints have a much lighter texture, which makes them flow with more ease. The overall effect is that they end up having a clear glossy finish when dry. 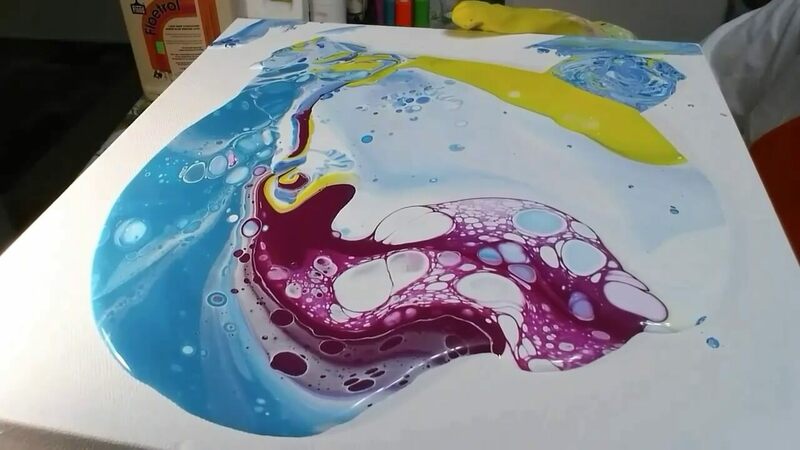 Another easier and faster way to make your acrylic pour glossy is by applying a shiny medium. These are available in many stores, both online and offline. Once applied, they can be used to give your artwork a smooth and shiny look. Varnish is also a great liquid which you can use which is pretty efficient. All you need to do is to wait until your painting is dry and then apply the varnish on top with a brush. 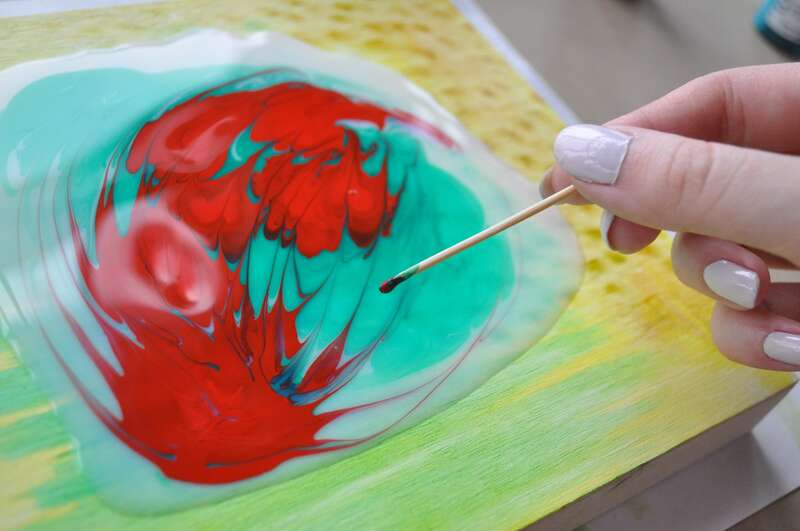 Another way to do this is to mix a gloss medium with your paint and then carry on with the pouring. In the end, the paint will dry glossy. 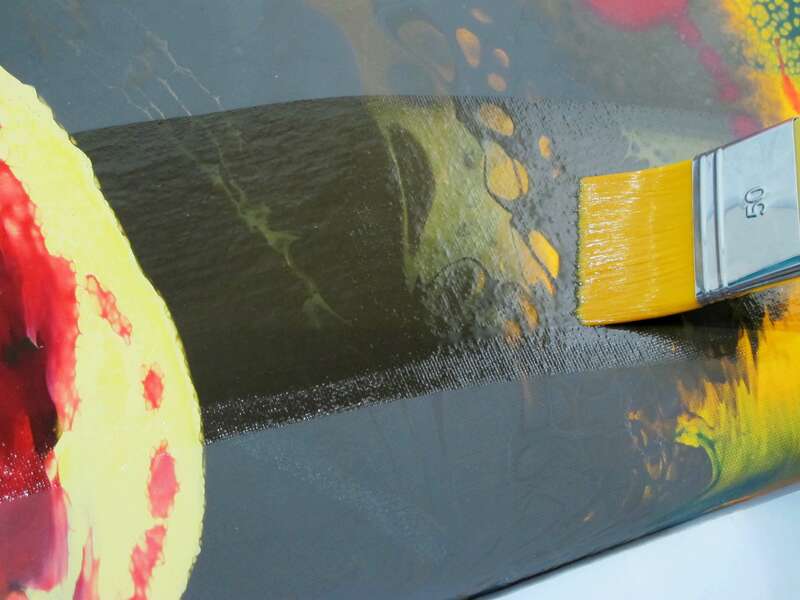 While applying a top coat to your acrylic paintings it is best to go for a water-based protective finish. Such a top coat is pretty easy to use since it will make it easy for you to wipe or clean your brushes afterward. It will also make it hard for brush strokes to show up on your paintings as it flows freely and therefore does not require strenuous work. 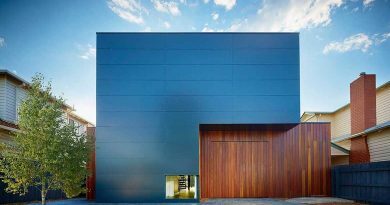 If you consider purchasing such a top coat, view this for details and information on the best types of top coats that you can use. 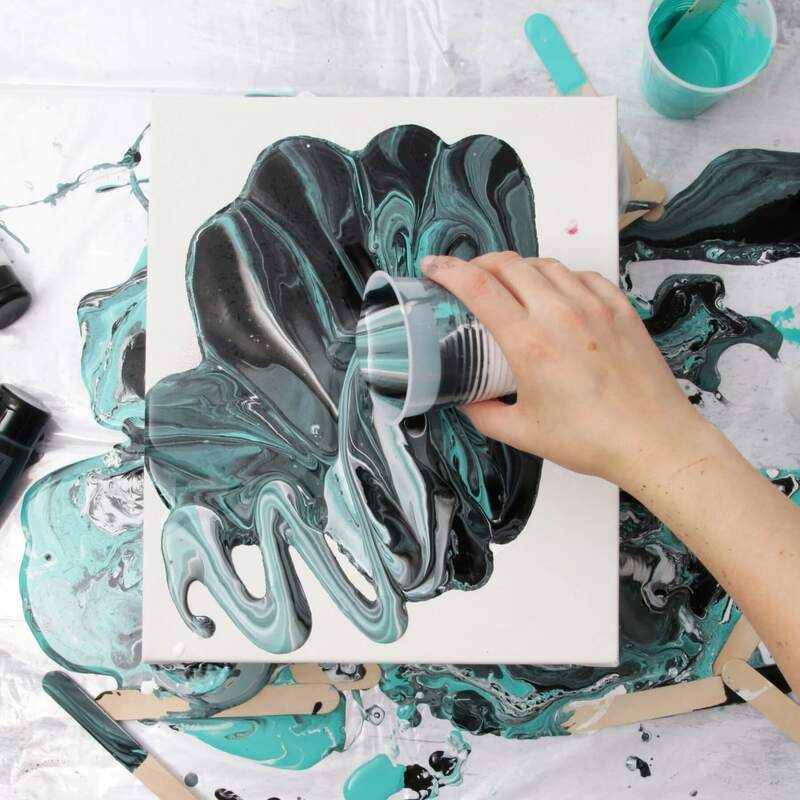 When applying a glossy medium on top of your work, be careful with your brush strokes. Make sure that you apply the medium slowly and carefully and at the right angles so as to ensure that you will not overlap your strokes. Make the strokes smooth, and even them out in one direction. This uniformity will help you to achieve the shiny look that you wish for in your work. You may want to apply a second coat on your work after the first round. This is when you want to take your art to a whole new level and to ensure that you get the extra shine that you have been desiring. To do this effectively, however, you have to be certain that the first coat dries up totally to avoid messing up the art in any way. Applying varnish with brushes is a pretty effective method to get a glossy shine on your work without any mishaps. This would not be the case if one were to use methods such as rolling, or with the use of a sponge. These could tamper with your work.